Ron Dermer is an American-born political consultant who was appointed Israeli ambassador to the United States in 2013. Sometimes called “Bibi’s brain” because of his close association with Israeli Prime Minister Benjamin Netanyahu, Dermer also has deep ties to the Republican Party establishment and reportedly helped influence the neoconservative-inspired “freedom agenda” of President George W. Bush. Dermer is widely perceived as a highly partisan actor and was involved in numerous actions that drove a rift between Israel and the Democratic party and eroded the bipartisan consensus on Middle East policy that had been a staple for years in Washington. 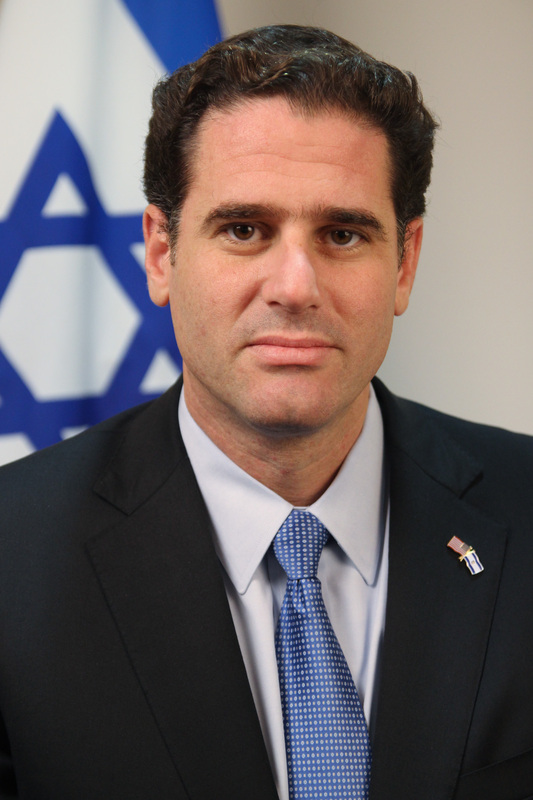 In May 2018, after Israel killed over 120 Palestinians who were demonstrating against the ongoing siege of the Gaza Strip, Dermer accused a “media that is largely hostile toward Israel, simply ignorant or both to ignore Hamas’s genocidal goals and excuse its terrorism.” Dermer contended, inaccurately, that the protests were driven by Hamas with the goal of killing Israelis. The Israeli response was roundly criticized by most of the world, aside from the United States, and condemned in a resolution in the United Nations General Assembly after the United States vetoed a call for an impartial investigation into the killings—incidents where no Israeli was ever in mortal danger—in the Security Council. Dermer first went to Washington as a political consultant in the early 1990s after taking a college course with the veteran GOP pollster Frank Luntz. Dermer worked with Luntz and then-Rep. Newt Gingrichto craft what would become the Republican Party’s “Contract with America,” a campaign platform that guided the party during its successful 1994 bid to retake Congress. Luntz, reportedly capitalizing on an introduction made by Richard Perle, then connected Dermer to Natan Sharansky, a former Soviet dissident who immigrated to Israel and founded a right-wing party for immigrants from the former Soviet Union. In between breaks at Oxford, where he earned a master’s degree, Dermer worked as consultant and pollster for Sharansky’s Yisrael B’Aliya Party in the run-up to the 1996 elections. The following year, he formally immigrated to Israel and continued working for Sharansky. With Sharansky, Dermer coauthored the 2004 book The Case for Democracy, which President Bush credited as an influence on his “freedom agenda” to “democratize” the Middle East by force. Dermer reportedly facilitated Netanyahu’s unofficial support for 2012 Republican presidential candidate Mitt Romney. Dermer, wrote Haaretz columnist Barak Ravid, was “the person who tried to convince Netanyahu by any means possible that Romney was set to win the elections. We saw what happened in the end.”It was Dermer who coordinated Romney’s campaign-season visit to Israel, part of a mostly unsuccessful gambit to lure Democratic-leaning Jewish voters away from Obama by attacking his record on Israel. According to the Wall Street Journal, Dermer was also “considered a liaison to influential Republican campaign financiers like Sheldon Adelson,” the controversial Israeli-American casino magnate who spent millions trying to elect Romney and a host of other Republicans. Some observers argued that Dermer’s role in the affair was particularly egregious because he had met with Secretary Kerry the day before Boehner’s announcement yet failed to mention the invitation. 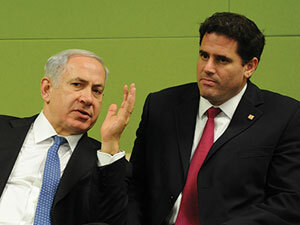 “In almost any other case, such bad faith and duplicity would lead a host country to ask that an ambassador be withdrawn,” opined one analyst.Dermer later argued that Netanyahu had a “sacred duty” to accept the invitation given the alleged threat posed to Israel by Iran’s nuclear program. In Israel, a member of the Knesset from the opposition Zionist Union party, Erel Margalit, wrote a letter to Netanyahu stating that Dermer “risks the state of Israel” and called for him to be replaced. Dermer’s brazenly hawkish approach to the Israeli-Palestinian conflict was on display during the 2014 Gaza War, when he told attendees of a Christians United for Israelsummit that critics of Israel’s military actions were “moral idiots” and that the “Israel Defense Forces should be given a Nobel Peace Prize.” The conflict cost the lives of over 1500 Palestinian civilians, including hundreds of children, as well as of six Israeli civilians. As a columnist for the right-wing Jerusalem Postin the mid-2000s, Dermer frequently penned op-eds criticizing Palestinian leaders and the Israeli-Palestinian peace process. “Throughout the columns,” Tabletreported, “Palestinian leaders—not just Arafat, but Fatah leader Marwan Barghouti—are branded not just as terrorists but as tyrants bent on fomenting the Intifada to consolidate power in a ‘corrupt junta. '” In other writings, Dermer characterized Jewish critics of Israeli policies as “self-haters” and advocated prolonging any possible peace deal between Israel and the Palestinians. Republican Jewish Coalition, “RJC Statement on Ron Dermer Being Named as Ambassador-Designate from Israel to the U.S.,” July 9, 2013, http://www.rjchq.org/2013/07/rjc-statement-on-ron-dermer-being-named-as-ambassador-designate-from-israel-to-the-u-s/#sthash.qt7gSTGN.dpuf. Barak Ravid, “Netanyahu’s nominee for next envoy to U.S.: The brains behind his support for Romney,” Haaretz, December 29, 2012, http://www.haaretz.com/blogs/diplomania/netanyahu-s-nominee-for-next-envoy-to-u-s-the-brains-behind-his-support-for-romney.premium-1.490641. Allison Hoffman, “Bibi’s Brain: Meet Ron Dermer, Israel’s new ambassador to the U.S.,” Tablet, September 20, 2011, http://www.tabletmag.com/jewish-news-and-politics/78543/bibis-brain?all=1. Ron Kampeas, “‘Bibi’s Brain’ Comes to Washington,” Politico, December 2, 2013, http://www.politico.com/magazine/story/2013/12/bibis-brain-comes-to-washington-ron-dermer-netanyahu-100561_Page3.html#.UwdhUv0bSao. Quoted by Michael Finch II, Amy Sherman, and Elinor J. Brecher, “Possible future Israeli ambassador holds two countries in his heart,” Miami Herald, January 1, 2013, http://www.miamiherald.com/2013/01/01/3163806/possible-future-israeli-ambassador.html#storylink=cpy. Barak Ravid, “Israeli ambassador in U.S. reprimanded for forbidden political campaigning on behalf of Netanyahu,” Haaretz, January 26, 2015, http://www.haaretz.com/news/diplomacy-defense/.premium-1.639004. Marsha Cohen, “Top Netanyahu Adviser set to become Israel’s next US Ambassador,” Lobelog, December 29, 2012, http://www.lobelog.com/top-netanyahu-adviser-set-to-become-israels-next-us-ambassador/. Joshua Mitnick, “Israel Names Ron Dermer as Ambassador to U.S.,” Wall Street Journal, July 10, 2013, http://blogs.wsj.com/middleeast/2013/07/10/israel-names-ron-dermer-as-ambassador-to-u-s/. M.J. Rosenberg, “Bibi Netanyahu Has Set a New Record for Chutzpah,” The Nation, January 23, 2015, http://www.thenation.com/article/195841/bibi-netanyahu-has-set-new-record-chutzpah. Barak Ravid, “Behind Obama’s back: How Netanyahu’s U.S. trip was cooked up,” Haaretz, January 22, 2015, http://www.haaretz.com/news/diplomacy-defense/.premium-1.638396. Steve Benen, “Unexpected critics pan GOP/Netanyahu gambit,” MSNBC, January 26, 2015, http://www.msnbc.com/rachel-maddow-show/unexpected-critics-pan-gopnetanyahu-gambit. Dylan Scott, “Israeli Ambassador Defends Netanyahu Speech To Congress As ‘Sacred Duty’,” Talking Points Memo, January 26, 2015, http://talkingpointsmemo.com/livewire/ron-dermer-netanyahu. Jeffrey Goldberg, “Israeli Ambassador: Netanyahu Never Meant to Disrespect Obama,” The Atlantic, January 30 2015, http://www.theatlantic.com/international/archive/2015/01/dermer-on-netanyahu-boehner-and-iran/385003/. Marsha Cohen, “Fact-checking Bibi and Company’s Talking Points on Iran,” LobeLog, February 2, 2015, http://www.lobelog.com/fact-checking-bibi-and-companys-talking-points-on-iran/. Julie Hirschfeld Davis and Ashley Parker, “Ambassador Tries to Bridge Gap With U.S., but on Israel’s Terms,” The New York Times, March 25, 2015, http://www.nytimes.com/2015/03/26/us/israel-ron-dermer-ambassador-iran-nuclear-deal.html?_r=0. Ron Dermer, “Israeli ambassador: The four major problems with the Iran deal,” The Washington Post, July 14, 2015, https://www.washingtonpost.com/opinions/a-bad-deal-today-a-worse-deal-tomorrow/2015/07/14/5d34ba00-2a39-11e5-a250-42bd812efc09_story.html. Times of Israel, “Dermer: Israel ‘not eager’ to battle Obama on Iran deal, but has no choice,” August 15, 2015, http://www.timesofisrael.com/dermer-israel-not-eager-to-go-up-against-us-on-iran-deal-but-has-no-choice/. Amnesty International, “Families Under the Rubble,” November 2014, http://www.amnesty.org/en/library/asset/MDE15/032/2014/en/613926df-68c4-47bb-b587-00975f014e4b/mde150322014en.pdf. Herb Keinon, “Ambassador Dermer: Academic boycott of Israel ‘a travesty,'” Jerusalem Post, December 17, 2012, http://www.jpost.com/Diplomacy-and-Politics/US-Ambassador-Dermer-Academic-boycott-of-Israel-a-travesty-335279. Republican Jewish Coalition, “RJC Statement on Ron Dermer Being Named as Ambassador-Designate from Israel to the U.S.,” July 9, 2013,http://www.rjchq.org/2013/07/rjc-statement-on-ron-dermer-being-named-as-ambassador-designate-from-israel-to-the-u-s/#sthash.qt7gSTGN.dpuf. Barak Ravid, “Netanyahu’s nominee for next envoy to U.S.: The brains behind his support for Romney,” Haaretz, December 29, 2012,http://www.haaretz.com/blogs/diplomania/netanyahu-s-nominee-for-next-envoy-to-u-s-the-brains-behind-his-support-for-romney.premium-1.490641. Barak Ravid, “Israeli ambassador in U.S. reprimanded for forbidden political campaigning on behalf of Netanyahu,” Haaretz, January 26, 2015,http://www.haaretz.com/news/diplomacy-defense/.premium-1.639004. Marsha Cohen, “Top Netanyahu Adviser set to become Israel’s next US Ambassador,” Lobelog, December 29, 2012,http://www.lobelog.com/top-netanyahu-adviser-set-to-become-israels-next-us-ambassador/. Dylan Scott, “Israeli Ambassador Defends Netanyahu Speech To Congress As ‘Sacred Duty’,” Talking Points Memo, January 26, 2015,http://talkingpointsmemo.com/livewire/ron-dermer-netanyahu. Jeffrey Goldberg, “Israeli Ambassador: Netanyahu Never Meant to Disrespect Obama,” The Atlantic, January 30 2015,http://www.theatlantic.com/international/archive/2015/01/dermer-on-netanyahu-boehner-and-iran/385003/. Julie Hirschfeld Davis and Ashley Parker, “Ambassador Tries to Bridge Gap With U.S., but on Israel’s Terms,” The New York Times, March 25, 2015,http://www.nytimes.com/2015/03/26/us/israel-ron-dermer-ambassador-iran-nuclear-deal.html?_r=0. Ron Dermer, “Israeli ambassador: The four major problems with the Iran deal,” The Washington Post, July 14, 2015,https://www.washingtonpost.com/opinions/a-bad-deal-today-a-worse-deal-tomorrow/2015/07/14/5d34ba00-2a39-11e5-a250-42bd812efc09_story.html. Bannon Down, Pentagon Up, Neocons In? Dennis Ross: Blame America First!